One local band compared to Bowie perhaps more frequently any other is Icehouse led by Iva Davies. In early 1978, the band gained popularity on the Sydney pub circuit playing note-perfect versions of Bowie songs and among these was 'The Jean Genie'. They also covered songs by Roxy Music, Lou Reed, T-Rex, Ultravox and Brian Eno. 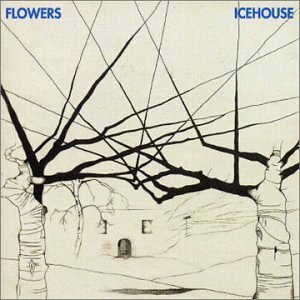 The original name of the band was Flowers - inspired by the original production by Lindsay Kemp (Bowie's old mime teacher) and based on the debut novel by Jean Genet. Their debut album was called Icehouse (the names were later reversed!). 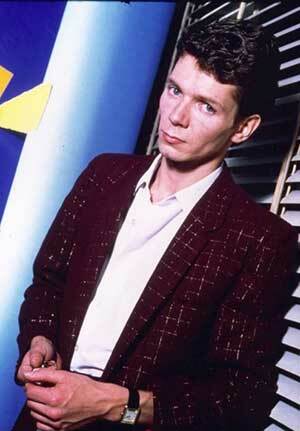 Released in 1980, it revealed a striking collection of originals, however, lead singer Iva Davies' voice was compared to Bowie and Ferry and musically the band took also took some cues. 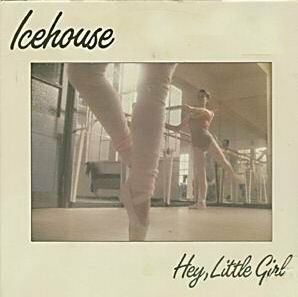 The point of Bowie comparison seems to have a peak with Icehouse's international hit 'Hey Little Girl' - a song sometimes mistaken as the man himself. "We were in the middle of playing. Someone pointed side-stage and there he was - Bowie - watching us ... 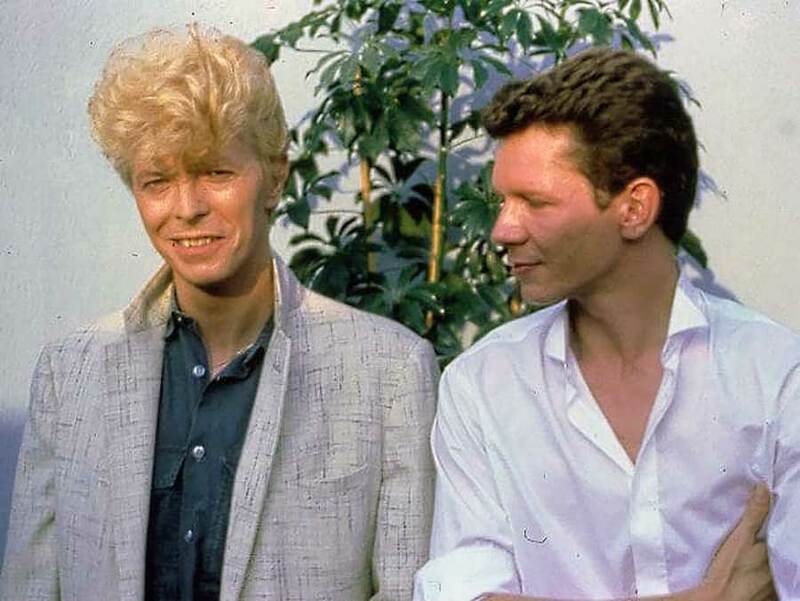 It was like God had just walked in to the room"
Subsequently, Bowie invited Icehouse to appear with him as support for the Eurpean leg of his 1983 tour. "For a band in Australia being asked to join him on tour, it was just incredible, a real honour. It doesn't get much better than that." 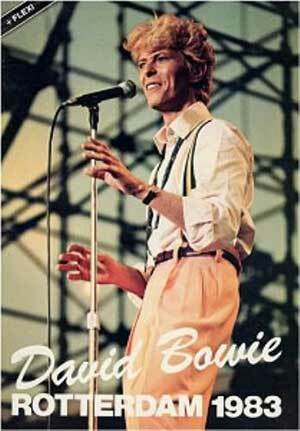 Some of the British concerts for which Icehouse supported David Bowie drew crowds of more than 80,000. "It was just a frenzy ... British fans were chomping at the bit to see him"
"He was massive. And one of the reasons I decided to tour with him was to see how he operated at that level. "In other words I wanted to see what it was like to be that big a star. And it was quite an eye-opening experience." At the Milton Keynes concert, Iva Davies remembers seeing the St John Ambulance crews ferry hundreds of fans from the front row back to receive emergency treatment. The following shot was taken by Dennis O'Reagan at the Milton Keynes concert. 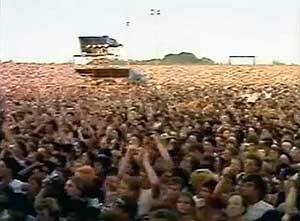 A documentary about Bowie's 1983 Miltons Keynes concerts (South of Watford) was shown back in 1983. It has recently appeared on youtube in good quality on youtube. In Holland, Germany and Sweden, the story was similar. "The most memorable time we spent together was the night we nearly got killed. We decided to go for a drink in Rotterdam one night - him, me and our young bassist Guy Pratt and within minutes, the place became so packed it became incredibly dangerous. 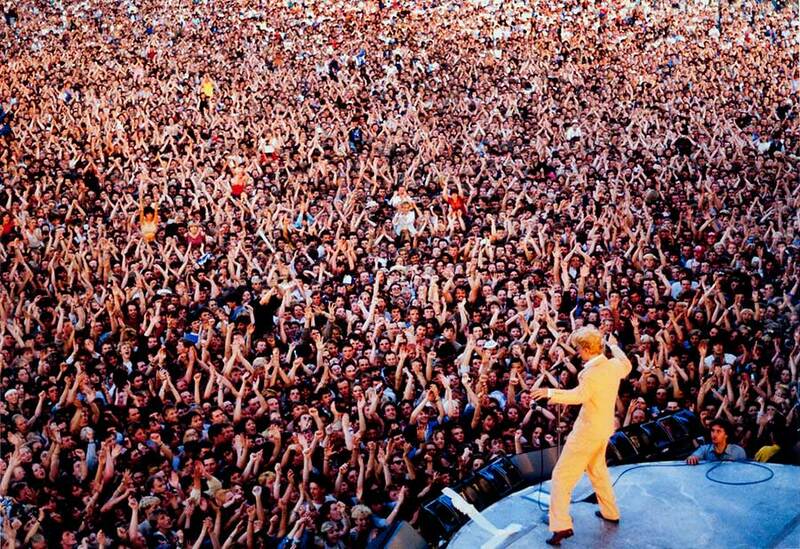 Bowie was rushed by a crowd. We got caught up in the crush. We literally had to be passed out over the top of this riot of fans. 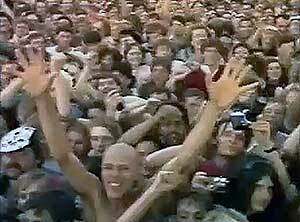 Bowie was used to crowds but even he was shocked by what had happened. It was frightening and something I'll never forget. The three of us managed to get out by being passed over the heads of the crowd. I remember thinking ‘Wow, that’s a life’. It was extraordinary. ~ Iva Davies, 2008 and 2016. He made those suits for Robert Palmer and Bryan Ferry and I had one made – and for Duran Duran – and he of course made most of David Bowie's clothes in that period. Bowie came backstage one day to the catering marquee to "mill with the crew" and get his lunch. "I remember that he was wearing denim jeans and a denim jacket and I sort of looked at it and thought there was something not quite right about it. And, of course, they were designer Anthony Price denim jeans and an Anthony Price denim jacket. And I thought, this is how David Bowie dresses down to mix with the crew, he wears this designer denim". 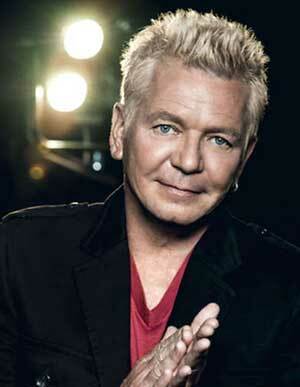 In 1995, Iva Davies and Icehouse recorded the ballet Berlin and accompanying album The Berlin Tapes. The project began life as a covers album and as an experiment to dabble with Bowie songs. Iva Davies had been unhappy with his faithful interpretations so took on the more obscure 'Loving The Alien' which Bowie had included on his Tonight album. Eventually 'Loving The Alien', 'Heroes' and reimaginings of songs by Lou Reed, Bryan Ferry and Talking Heads made the soundtrack for the dance work. 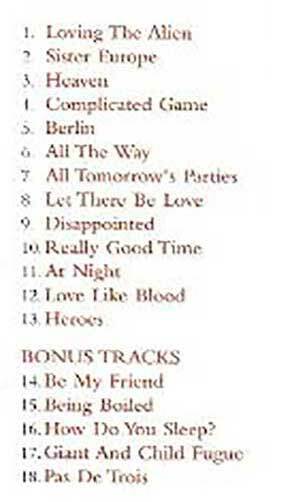 The resulting album The Berlin Tapes strayed away from the bands usual approach of all-originals, and instead was all-covers - moreover it was book-ended by the David Bowie songs. 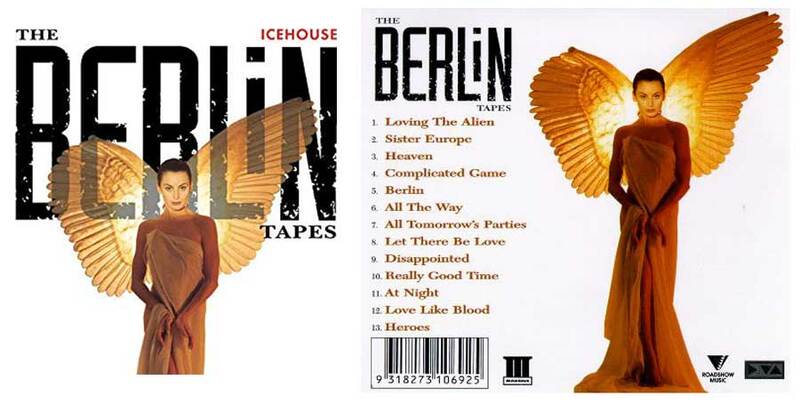 The Berlin ballet has seen several revivals since it's original appearance and The Berlin Tapes has been issued with bonus tracks (see left). In 2004, The Berlin Tapes album was retitled Heroes more than likely on the song gaining a lot of airplay during the Seven network's coverage of the Athens Olympics (2004). "Heroes" was also released a single and reached #93 on the AUS singles chart. Both the single and the reconfigured album contain two different versions - the "Berlin Mix' in addition to the 'Athens Mix'. [Bowie's passing] was a shock. I remember exactly where I was when it [the news] came through. My tour manager received a text message. I thought David Bowie had an incredible life and packed so much into it. So in a sense I could be philosophical about it. His legacy on music is unfathomable. He is just gigantic. Song after song, album after album, he broke the mold he set for himself. He was just a brilliant man."